Last season's emphatic title win feels like a million miles away now as we enter September and the tough run up to Christmas at Stamford Bridge. Despite the hiccup at Burnley which saw a full strength squad beaten 3-2 on the first day of the season, the rest of August and early September's games have been business as usual for the Blues. In three difficult games against potential rivals Tottenham, wannabe top four outfit Everton and recent Champions Leicester, Chelsea have 3 wins from 3, with new boy Alvaro Morata now the club's top scorer with 3 goals and 2 assists from 4 games. Conte's men have maintained the pace seen last season and his new signings seem to have been worth the cash. Pundits are still happy to back Chelsea to be up there at the end of the season and shrewd gamblers would do well to take advantage of early season odds at this stage. 888sport have us as third favourites for the title, behind the two Manchester clubs, respectively. Morata joined permanently from Real Madrid in July for a reported £60 million, a new club record. Although his substitute appearance in the Community Shield and full debut against Burnley weren't exactly mind-blowing, he is quickly finding his Premier League feet and the net. He looked very sharp against Everton and Leicester and his price tag is looking a bit more palatable now he has some statistics to his name. Morata was joined by 4 other high profile signings, taking spending over £180 million. Conte has cemented his midfield with Monaco starlet Tiemoue Bakayoko and Leicester and England international Danny Drinkwater, despite Nemanja Matic heading North to Old Trafford to re-join Jose Mourinho. They are backed up by a couple of Serie A signings in former Torino centre back Davide Zappacosta and left back Antonio Rüdiger, who joins from Roma. Rüdiger has certainly slotted into defence nicely, but Zappacosta and Bakayoko in particular still need to win their spot. The rest of the team have looked good too, but the amount of goals conceded could be a cause for concern. Chelsea were far and away the best team last year and are only 2 points adrift compared to their first four games in 2016. 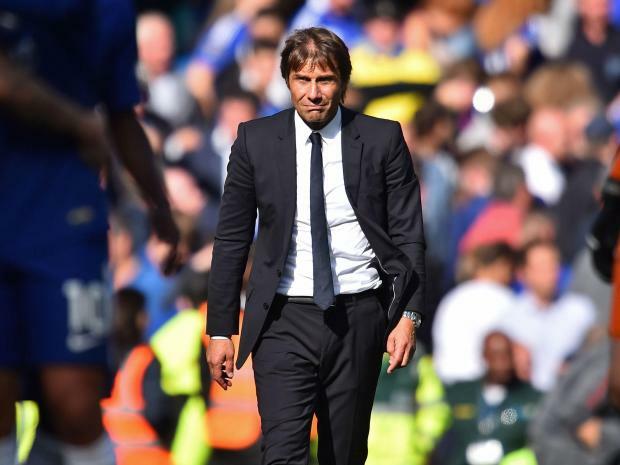 The season is still very young and the team is still finding their feet with new signings and some slight tweaks to Conte's tactical plan, notably a bigger reliance on a 3-4-3 formation. Hopefully the gamble of playing deeper with less defenders is the reason for only maintaining one clean sheet so far. At this stage it still feels like Chelsea can definitely give the likes of City and United a run for their money. Conte's magic is still in the air and decent investment has backed up his credentials as a long term choice. It's the disappointing defeats against Burnley that Chelsea have to avoid however to ensure they can keep with the pace currently being set by other teams that look a lot stronger than they did last year.